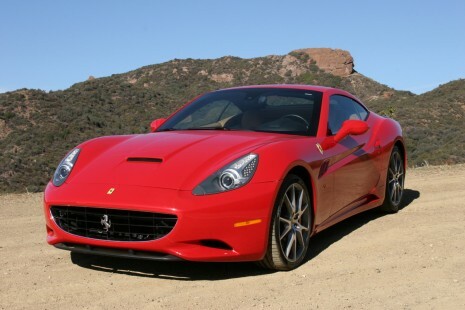 Is A Ferrari California Hybrid Model In The Works? When you think of automakers building or researching hybrid vehicles, Ferrari probably isn’t the first manufacturer to come to mind. Many people don’t even realize that the automaker has previously shown a hybrid model, the Ferrari 599-based HY-KERS Concept, at the 2010 Geneva Motor Show. Showing a concept and putting hybrid vehicles into production are two separate things, and the Maranello-based automaker hasn’t said much about their hybrid program since Geneva. That doesn’t mean the program has been abandoned, and Britain’s Autocar recently spotted a suspicious Ferrari 599 test mule in Germany. One key to the car’s true nature is the German “S” license plate. “S” denotes Stuttgart, home of Ferrari’s hybrid development partner, Bosch, which is believed to be helping Ferrari with hybrid drivetrain engineering and software. Autocar believes the car to be a rebodied Ferrari California, and based on recent Ferrari patent filings, it’s testing a different hybrid system than the one shown on the HY-KERS Concept. 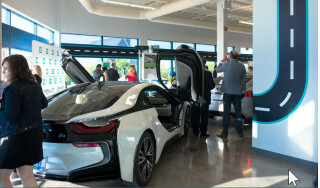 The new system uses two electric motors, including a low-capacity front-mounted motor to run ancillary systems when the car is operated in electric mode. A rear-mounted drive motor supplies supplementary power to the wheels and is fed from battery cells distributed across the floorplan to retain an ideal center of gravity. In addition to reducing carbon dioxide emissions, the hybrid drivetrain gives the California Hybrid superior performance compared to a conventional Ferrari California. Despite the added weight of batteries and motors, the hybrid is 0.6 seconds quicker to 100 miles per hour, since the electric motor can provide supplemental torque between gearshifts. It can also be used to provide a faster-responding traction control system that doesn’t reduce engine power. Ferrari, like other automakers, is feeling the pinch of tightening emission standards and increasing fuel economy requirements. The automaker sees hybrid technology enabling it to reduce carbon dioxide emissions from a fleet average of 310 grams per kilometer in 2010 to an average of 240 g/km by 2018.